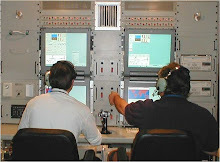 In an August 2004 story, Space Daily reported a successful test of the Raytheon SilentEyes microUAV. 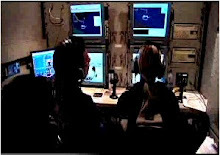 In the test conducted at Edwards AFB, SilentEyes prototypes were "ejected from an MQ-9 Predator." 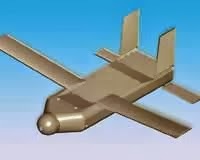 The goal of the SilentEyes project was to enable a high-altitude UAV such as the Predator, to extend its reach by using a lower-cost UAV. The slave UAV could be used to provide high resolution images or other sensor data from lower altitudes. It flew autonomously, but relayed its data stream through the MQ-9 to MQ-9 ground control stations. SilentEyes was cancelled, but the project was one of several that has contemplated the use of multiple, networked small and lower-cost UAVs to coordinate data gathering for intelligence, mapping and other applications. Slave microUAVs could be launched individual or as a swarm from air or ground platforms. A goal of these projects has been to leverage R&D in networked robotics.